I have lately become quite disenchanted with using the term "internal" or "external" in describing myself as a martial artist. 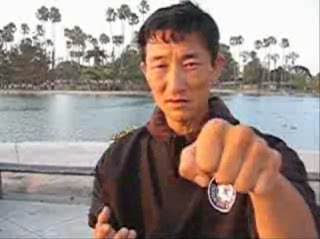 For 25 years I've practised the internal Chinese martial arts (and some external Chinese systems) along with my karate. Yes, I've tended to move more towards the internal arts in my own weekly practice. That's because it's a lot easier on my body. But I've never "switched" from one to the other. 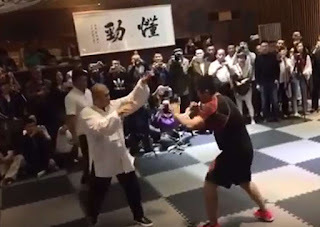 Apart from the obvious references to the 3 main arts of China that comprise the neiji (internal) family of boxing (xingyi, bagua and taiji) I suppose I have also used the term "internal" to refer to a gradual "softening" in my training so that it was "smarter" - ie. more efficient, more economical, less reliant on simple force and more on timing and placement. However judging by comments I get via email, Twitter, G+, YouTube and Facebook, a very large percentage (dare I suggest a majority?) 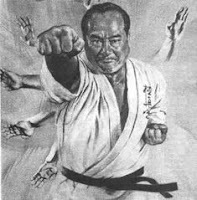 of "internal" martial artists out there appear to be mere dreamers and fantasists - people who believe that they have some sort of "magical power" (they refuse to call it that, but this is nonetheless what they are really saying when it all boils down). The sad truth is those who adhere to this view of "internal arts" couldn't punch their way out of a wet paper bag (and deep down they know it). "You know nothing and I feel sorry for your students!" "You should not be teaching!" "This is a crime against taijiquan." "You don't understand the 6 harmonies at all." "Karateka actually know something about fighting." 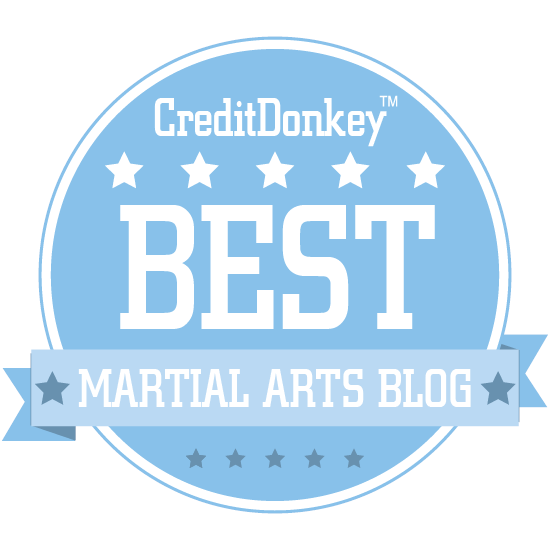 This is not to say that there aren't any internal martial artists who are effective fighters. I know more than a few. But, as I've said, there are many, many more who, judging by their rhetoric, if not their images and videos, don't seem to have an ounce of practicality in their training. Lack of "practicality" is, in itself, unobjectionable: as I explained in my article "Why do you train? 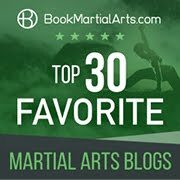 An interview with Dan" fighting isn't the main reason most people do martial arts. The problem I'm having only arises when ludicrous claims are made about system A or system B and its "street effectiveness" or "fighting superiority". And in the internal arts world such claims are still routinely made - with absolutely no basis in evidence. 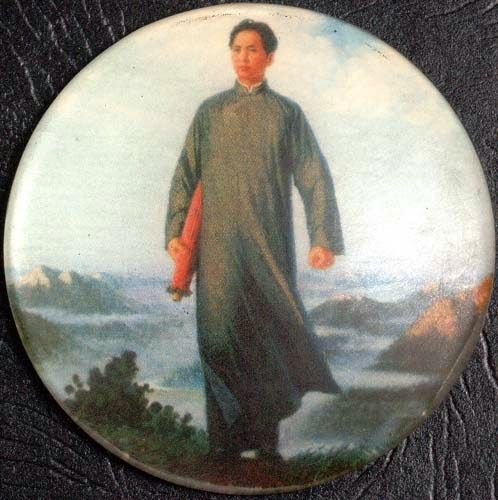 I was certainly "raised" on a very different impression of the Chinese arts of xingyi, bagua and taiji than the currently popular "new age" one. 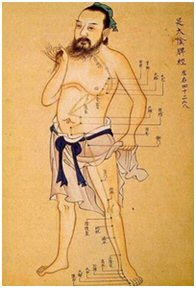 There was no reliance on "qi" to make things work when they clearly couldn't; no need for confusing, archaic terminology (words like "jin"); and no other obfuscation of basic physics. 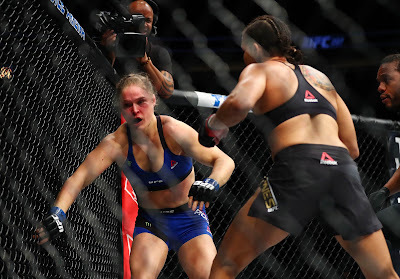 And there was genuine appreciation and respect for the skill, speed and power of an "external" (waijia) fighter - be he/she a boxer, Muay Thai fighter or hard karateka; none of the scathing, arrogant dismissal you see from overweight, middle-aged men who have neither dealt a hard blow, nor received one. My teacher Chen Yun Ching focuses on technique with absolutely no "value judgement" based on whether it is "external" or "internal". 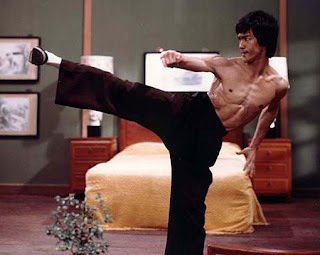 All he says is: "This is a bagua move, this is a shaolin move" etc. He looks genuinely puzzled when I try to draw any other, more nebulous, distinction. They are different styles using different methods. That is it. 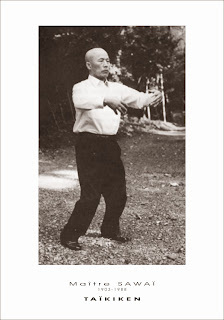 He is equally at home with shaolin (waijia) as he is with taiji, bagua and xingyi (neijia). They are all kuo shu - the national martial arts of China. So I continue to train in the internal arts. But I confess to being jaded with the label "internal" - as well as tainted by association with those dreamers and fantasists who would claim to engage in my chosen art(s). Will I ever "switch"? That question does not make sense to me. I practice a variety of martial arts - each with hard and soft elements. To some extent I probably always will. "It should be the goal of every hard artist to become softer. And the goal of every soft artist to become harder. What you want in the end is an optimum mix of soft and hard strokes." A day may come when I exclusively practise the "softer" techniques of taiji etc. instead of karate - simply because I'm not able to practice the latter properly due to age and health issues. But even that won't be a "switch": it will be a modification of my practice to suit my physical condition. I will be choosing certain techniques over others - not one label ("internal") over another ("external").